the members of the Sue Line Crew. Michael Dillon Stokes is usually called by his middle name Dillon. Dillon Stokes has been a member of the Sue Line Crew for several years. Dillon Stokes started off of the Extra Board, running trains from yard to yard. Dillon Stokes quickly progressed to running the scheduled mainline trains that stop and work at various towns along the way. Dillon Stokes has also had enjoyed working the various towns and yards on the railroad. The only thing that Dillon Stokes has not tried on the Sue Line is being the Dispatcher. Dillon Stokes is currently working with the Sue Line Crew on the various LED lighting projects on the layout. Recently Dillon Stokes has been working as the "Diesel Doctor" for the railroad. 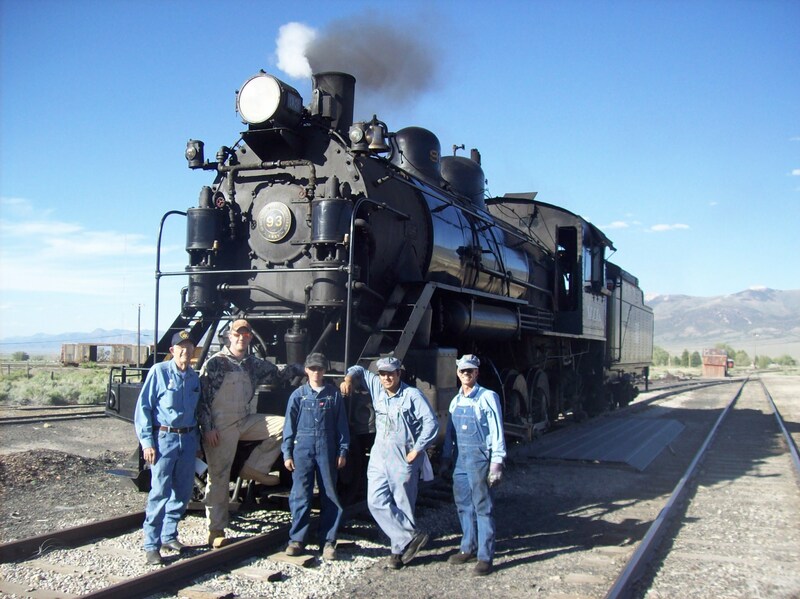 Dillon Stokes updates and maintains the Locomotive Fleet for the Sue Line. Dillon Stokes also provides the wonderful videos of the Sue Line railroad and these can be found at his YouTube Channel. During his off time from the Sue Line Railroad, Dillon Stokes work for the Union Pacific Railroad as a Locomotive Engineer out of Shreveport, Louisiana. Dillon Stokes lives, eats, sleeps and breathes railroading. When asked, Dillon Stokes reported “The thing I enjoy most about the Sue Line is getting together with a bunch of great people who come from all walks of life to share a common passion, and that is railroading”. Dillon Stokes at his day job. Since Charlie DeVillbiss was first given pencils and crayons, he has had an abiding interest in trains and engines. Charlie DeVillbiss has drawn lots of pictures of a mechanical sort. Charlie DeVillbiss reports that when he was in high school, he took lots of drafting courses. Charlie DeVillbiss was first given a job with the old Pure Oil Company (which folded into Union Oil and no telling what else as time moved on). Charlie DeVillbiss learned lots office work there and ended up a draftsman, after being trained as a reproduction room operator, mail clerk, office boy, etc. At the end of his high school days, another teenager who I found had a similar interest in railroad matters, talked me into doing what he had just done: hire out to the Frisco Railroad as a telegrapher. Charlie DeVillbiss then became a train order and interlocker operator, working at about 8 different stations along their line through Tulsa and Oklahoma City. Telegraphy was obsolete, of course, and he used the dispatcher phone line for most work, although I could send a consist by railroad Morse from Pierce City, Missouri, to West Tulsa yard, as it turned out--not well or too swift and slow to answer interruptions by the guy on the receiving end, who he would call on the parallel message phone to clarify everything. As Charlie DeVillbiss says- "Chaos then, chaos now--always present". During a summer break from college, Charlie DeVillbiss decided not to return to the Frisco Railroad and gained employment with the Missouri Pacific Railroad, again as a train order and interlocker operator, working at 8 of their stations in Kansas, Oklahoma and Arkansas. The Missouri Pacific (Mop) was sold on use of phones, as was Charlie DeVillbiss, which expedited dispatcher's work on all railroads. Nevertheless, Charlie DeVillbiss was carried on the payroll as "telegrapher" as had been the case on the Frisco Railroad. After college, Charlie DeVillbiss was given a job in the Office of the Mechanical Engineer on the Burlington route, where I did engineering work relating to engine and train performance, time--distance studies and establishing tonnage ratings for various diesel lash-ups for the entire system between Chicago, Billings and Galveston. Charlie DeVillbiss reports he was paid as a draftsman for all this fun work, always deep into profile and alignment charts and employee time-table details, doing some drafting work when in a slack period. Following being called into the army (as an instructor for almost 2 years) Charlie DeVillbiss returned to the same desk at the Burlington Route headquarters. Later, the Frisco Railroad and Burlinton System would merge and finally the present BNSF would emerge. Charlie DeVillbiss reports that he escaped all the possible personal losses and tragedies that these corporate changes might have cause him. Instead, before it all happened, Charlie DeVillbiss decided that he needed a different career as an engineer, made some good contacts and ended in the field of industrial instrumetation, meters, and control systems, retiring from The Foxboro Company, an old line famous instrument manufacturer based in Foxboro, Massachuttes, Charlie DeVillbiss served as a Sales Engineer and later as their Shreveport Branch Manager for 26 years. 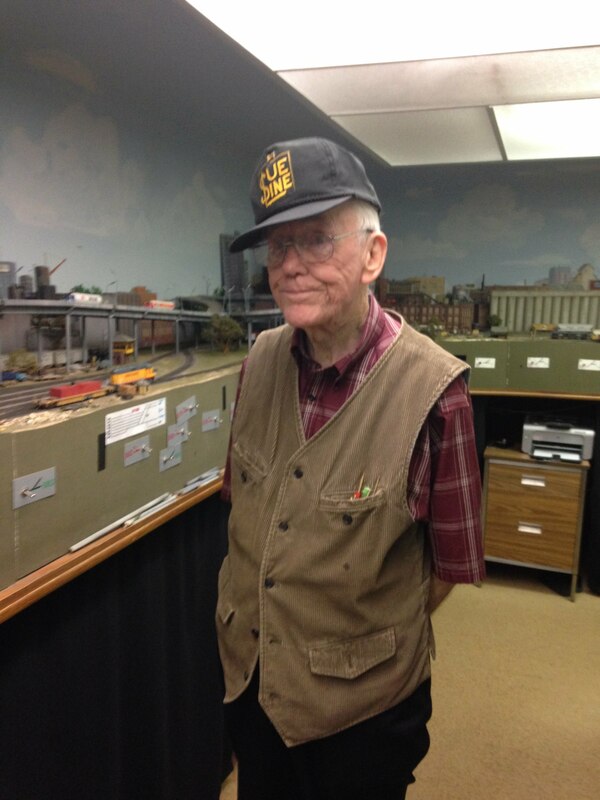 Charlie DeVillbiss says-- "Railroading remained--as a hobby, not a career, for me". So Charlie DeVillbiss collected a large library of books, maps, photos, and great vacation experiences for years, all the while mixing in a little model railroading activity, which prevails until now. During the 1960's, Charlie DeVillbiss had built and hand-laid quite a bit of track, acquired a few brass engines and lots of cars. All this was either dismantled or set aside "for the next call or season". The model railroad was known as The Eagle Chief and Orient Railroad, basically a moribund entity suffering from a lack of funding and technical effort, not to mention real estate/right-of-way short comings as many others have discovered. Charlie Devillbiss remembers "Once I'd seen a friend's 1/8" scale (almost HO) model of the Rock Island Rocket early streamliner (later learning it was called a "Model T" by EMC) in wood and "glued on paper" by Strombecker, I believe. I reverted to drawing and did not pursue modeling for a long time, until moving to Shreveport in 1955, when I started snooping around a few hobby shops. Practically a newcomer to the hobby in spite of my age". Hats off to the many who have weathered these storms, literally, as you have. In closing Charlie DeVillbiss reports "Thanks for the many hours at the Sue Line".